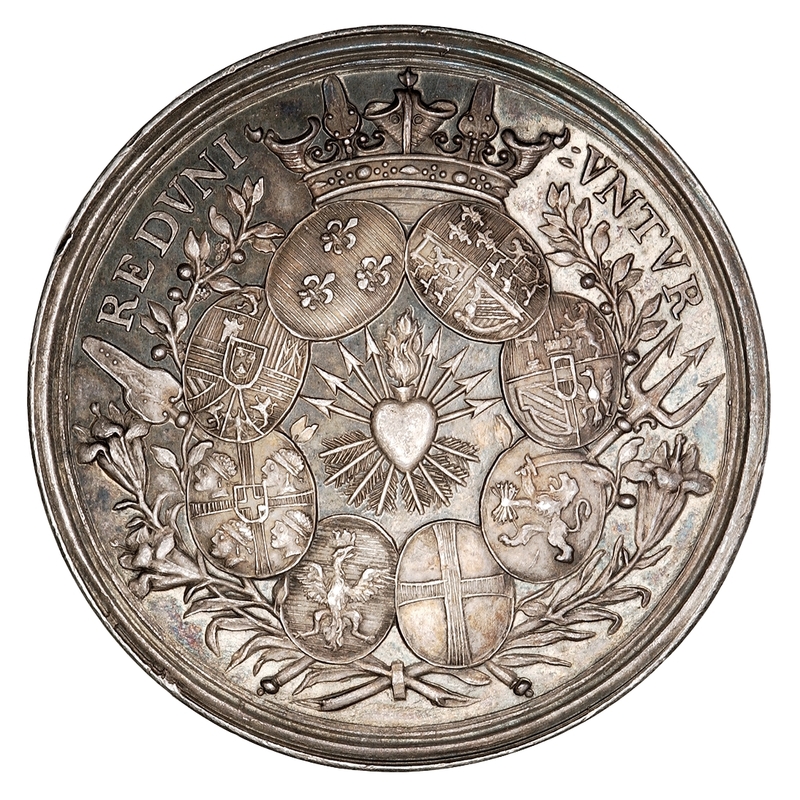 Obverse: REDVNI VNTVR - Flaming heart pierced by eight arrows at center, surrounded by arms of the nations that signed the Treaty of Aix-la-Chapelle encircled by wreath of laurel and lilies with crown above. Reverse: E SVPERIS ASTRAEA REDVX BONA SAECVLA REDDENS; in ex., PAX AQVISGRANI SANCITA/ ANNO LIB . 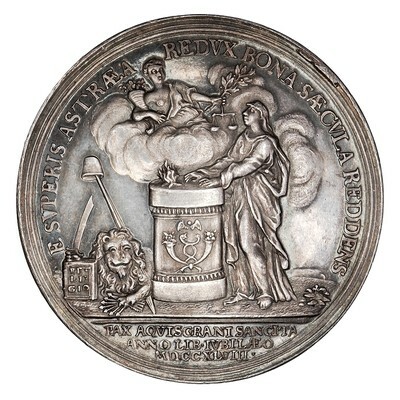 IVBILAEO/ MDCCXLVIII - Pietas standing at altar, l.; descending on a cloud above, l., Peace, holding cornucopia in l. hand and laurel wreath and scale in r.; lion of the United Provinces holding seven arrows, sword and Bible labelled "RELIGIO" at l.; behind lion, pole with cap of liberty.